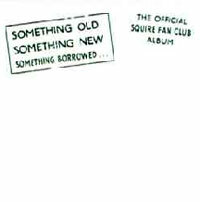 Squire is releasing the fourth in a series of re-releases – The Fan Club Album – which is available on CD, as a limited edition hand printed and signed white vinyl LP and download! Originally issued in 1982 as a Fan Club Members only vinyl limited edition LP, the record includes early Beatlesque songs, demos, alternate versions and a live side of tracks. The CD booklet contains pictures and letters from fans and there’s some bonus tracks tagged on too. And if you want to catch the band, they’re currently playing live dates featuring songs from the four re-released CDs in Madrid on 17th November and London Dingwalls on November 22nd.